Berlin is one of the most multicultural cities in Europe, it hosts several communities from all over the world. One of the biggest is for sure the Italian one which, with its twenty thousands habitants, is the third largest in Berlin. If you are visiting Berlin or living here and you want to have a taste of the country of La Dolce Vita, you have many opportunities. Here are the top 5 places you can visit if you want to find Italy, in Berlin. 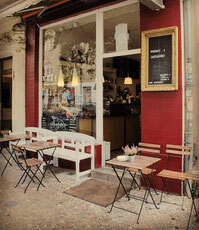 You can start with a true Italian breakfast and have 'caffé e cornetto' at Caffeggiando. The owners and workers are authentic Italians and have created a menu to reflect their origins. It is a very small café with the opportunity to sit outside in the summer. You can sample a true Italian breakfast by having a shot of espresso and a fast croissant without even sitting. Of course you are very welcome to spend half an hour on the terrace outside and if you say some words in Italian the owner will spoil you a bit with some treats. After a nice Espresso you have now the energy to explore some Italian art in the Schiller Kiez again in Neukölln. 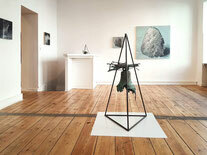 Luisa Catucci gallery, named after her creator, is the perfect spot where to dig into some new art. Opened in 2017, the gallery is focused on European art with special eye to Italian artists inspired by ecological, social and existential matters. Follow this perle in the heart of Neukölln to find out which is the next multidimensional event and you won’t be disappointed. If you haven’t had enough of art then it’s time to go towards the centre of the city to visit the Italian Cultural Institute that, together with the Italian embassy, is hosting an exhibition inspired by one of the most important modern Italian artist Michelangelo Pistoletto. It starts the 1st of June to celebrate the 85th birthday of the artist and will go on until the 29th of September. One of the major works of Michelangelo is 'La Venere degli stracci', a sculpture representing the Venere surrounded by rags originally shown at the Biennale of Venice in 2017 and at the MAAM in Rome. 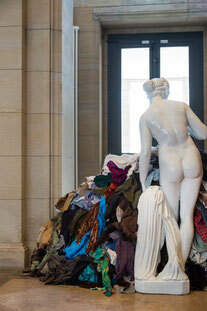 'Michelangelo Pistoletto und Cittadellarte. Spiegelungen und Widerspiegelungen' presents all the major works of the artist from all his different artistic periods. It’s a chance you can’t miss if you want to know more about Italian art in the 60’s. Now, It is Aperitivo time, this is a very serious matter in Italy! 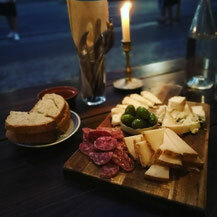 In some regions it is considered like an evening brunch, in others it is just a way to prepare your belly for dinner with small appetisers and a light drink. You can find this and more at Mini in Kreuzkölln. It is a brand new restaurant already showing a lot of potential. You can find one of the best Aperol Spritz in Berlin and also the special cocktail Gin Rosa, my personal favourite. Regarding the food, I would recommend the Farinata which is simply delicious! The owner also organises Aperitivo’s events with DJ sets and special discounts for the summer with screenings of cult movies for the colder winter months. Now, if you are not already drunk after a couple of Aperol Spritz, you are ready for dinner and Sala da Mangiare is one of the best discoveries I have made recently. The location is super cosy, it is almost like walking into the living room of a house in the Emilia Romagna region, where the owners are originally from. Their speciality is Tortellini which comes in a wide variety of fillings to suit any taste. The owners prepare this fresh every morning giving the pasta an incredible flavour. Products such as olive oil, cheeses, sale rosa (pink salt) and coffee come from the Slow Food Partner company in Berlin. The restaurant only has 35 places and is open only 4 hours each day, so don’t forget to book in advance!